5-6 classes, Mondays & Tuesdays Starting March 25, 6 – 9 p.m. 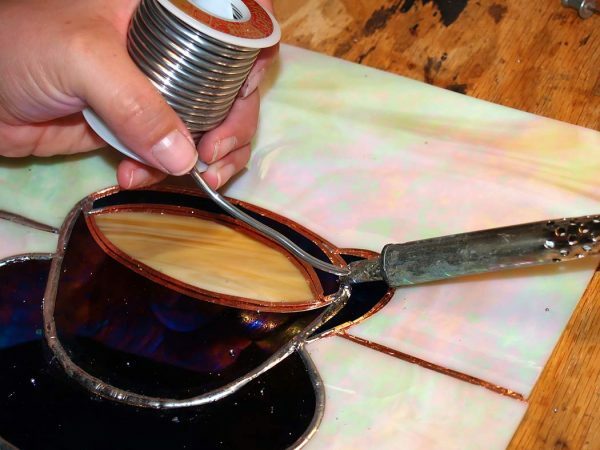 If you’ve taken Gaye Brewer’s Introduction to Stained Glass, the next step in your journey is Copper Foil Stained Glass! 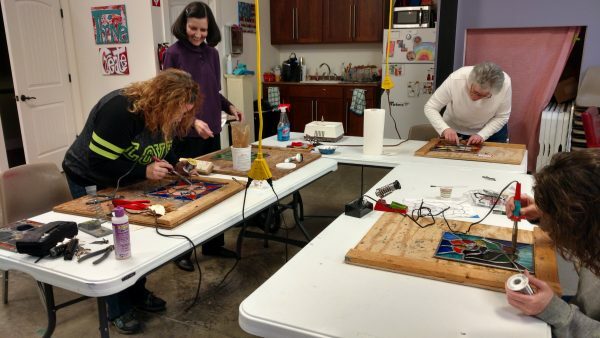 In this Intermediate Class you will take on a more intricate pattern and continue to gain experience in cutting, grinding, foiling and soldering glass. 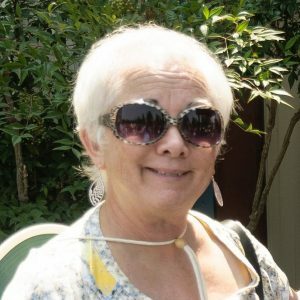 Gaye will have patterns for you to choose from the first night that can be completed during the course of this workshop. 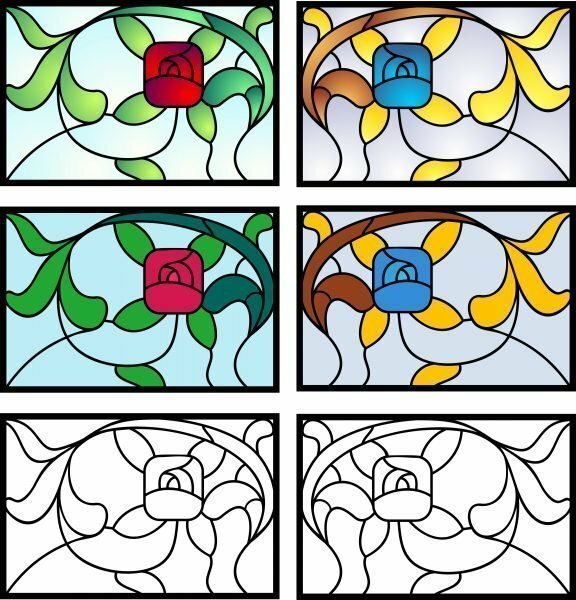 We are offering an array of pricing opportunities as you may or may not want to invest in the tools necessary to continue making stained glass after class. 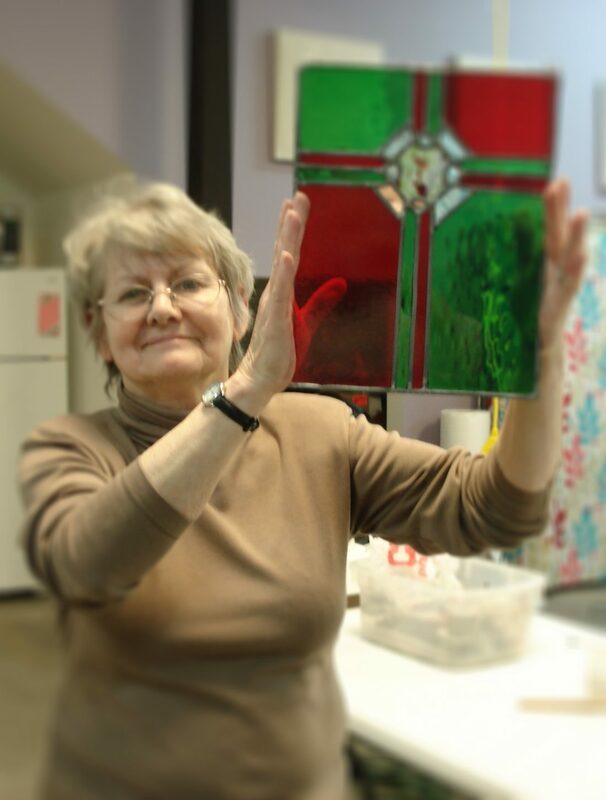 For those with stained glass experience but not with our instructor, please contact Gaye (email) to see if this class is a good fit for you. When you register, choose the option that works best for you. If you already have tools or don’t mind sharing the Studio Tools, there is a lower price for the class. Some who have already taken this class may use it as Studio Time with Gaye (Bare Bones pricing). $339 – All-inclusive. You will receive your own soldering iron, copper foiling machine, a roll of foil, spool of solder, foil roller, and use of the studio supplies like patina, solder wick, etc. $199 – Bare Bones – You’ve taken the Intermediate Class and you have all your own tools (including soldering iron and foiler) from the last go round. We’ll still provide you a spool of solder and roll of copper foil and you’ll have use of the studio supplies like patina, copper wick, etc. You may special order glass by emailing Kristin detailed information about what you would like from delphiglass.com no later than March 13. There are many coordinated glass packs available which generally have eight (8) 6″ x6″ pieces and are great for this type of project. We will also have some packs for sale the first night of class. You are welcome to bring glass for your project from your own stash to use. The Studio Stash of glass will be available to supplement your piece (such as an accent color or clear patterned glass). The bulk of your glass for your project will come from what you bring, order, or purchase the first night of class. Please bring all your tools from your Introductory Class especially: safety glasses, glass cutter, grozer pliers, lead shears & fids. Winter Weather Policy is if either McCracken County or Paducah City Schools are closed, your class will be postponed that evening. We have built-in makeup days should this occur. Because of the lead time involved to order kits & supplies, registrations will close Monday, March 11. Before registering for this class, please familiarize yourself with our Cancellation Policies which were updated September 2018.